Fear not; now there’s something you can do to counteract those whiffy odours! This fantastic formula has been developed as a means of combating that sweaty foot syndrome we all suffer with time to time. It can be particularly embarrassing if you’re out and about at a friend’s house when that dreaded moment of removing the shoes occurs. Panic sets in; do you run, or do you plead ignorance? This formula doesn’t just mask the smell; it prevents wetness, which is the main cause of smelly feet. 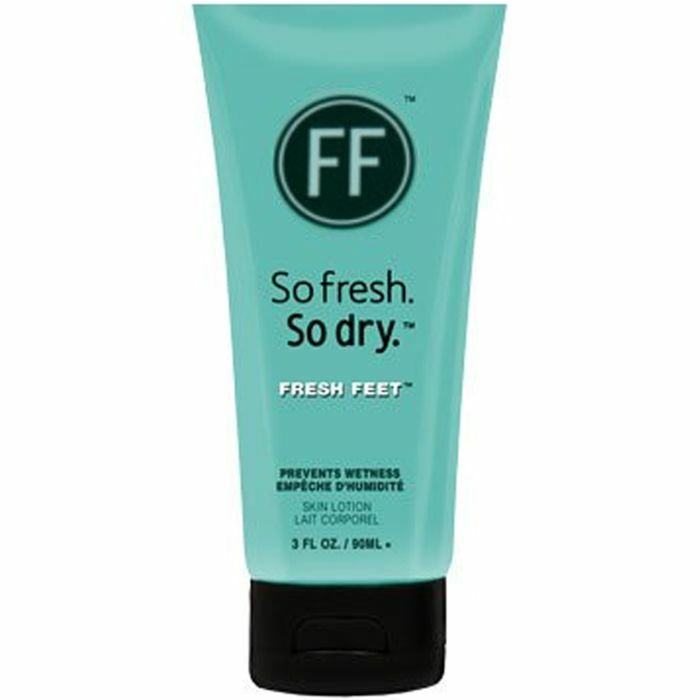 Fast drying, it coats your tootsies, to ensure that no sweat or smell gets through. Because it is applied as a soothing cream, yet dries as a silky non-talc powder, you won’t have to hang around whilst it dries before putting on your socks/shoes either. Hypoallergenic and clinically tested, Fresh Feet keeps your feet fresh, dry, silky soft and free from odours, and it can be used as often as required throughout the day. Talc free, paraben free and aluminium free, it really is a giant step towards all round healthy feet. Providing comfort and preventing odour-causing bacteria from forming, the formula contains oatmeal (anti-irritant), tee tree oil and antibacterial ingredients. Plus, it isn’t tested on animals. There’s no need to thank us; it’s no sweat!